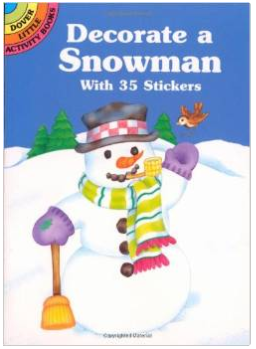 Decorate a Snowman With 35 Stickers $0.93 + FREE Prime Shipping! You are here: Home / Great Deals / Amazon Deals / Decorate a Snowman With 35 Stickers $0.93 + FREE Prime Shipping! Cute Stocking Stuffer Alert 🙂 Get this super fun Decorate a Snowman With 35 Stickers for ONLY $0.93 right now! !